How to buy property on St Kitts and Nevis. 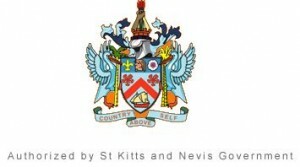 This is a brief guide on how to buy property on St Kitts and Nevis. Buying a property in the Caribbean Islands of St Kitts and Nevis is a relatively simple exercise. With few exceptions, almost anyone can buy property here. You are either a Citizen, or a Non-citizen. If you are not a Citizen, then there are a few restrictions, like the size of the lot that you can buy. This is currently restricted to half an acre. However, it doesn’t include existing homes that are more than half an acre with subdivisions with plots of more than half an acre. There are various legal methods to buy a house with a large lot. Talk to us in the first instance and we will put you in touch with a local lawyer. When you’ve decided on the right house for you, you will need to make an application for an Alien Landholder’s Licence. It usually takes anything from 2-4 months. Once you have the licence, you will need to pay a fee of 10% of the purchase price of the property. There are a few fees that will need to be considered. Apart from the obvious items, there are a few small administrative fees to be paid to the Government. It’s worth noting that you only pay these taxes once, so some people buy the building plot and pay the taxes at the lower price. Assurance Fund. It’s a little like an insurance, paid to the Government. The rate is 1 EC Cent for every $5 EC Dollars of the price. Alien Landholder’s Licence. This is a charge for a non-national to be able to own a property here. As a guide, allow 10% of the purchase price for the Alien Landholder’s Licence. However, the 10% can be assessed on the Inland Revenue evaluation if it is registered as more than the purchase price. This evaluation is conducted as part of the licence application. Legal fees. 2% for the legal fees. A completed Alien Landholder application form. We can provide you with this. Maps and plans of the property. The costs of these are shown earlier in this article. Your lawyer will provide these. A Statutory Declaration. This is an affidavit and is part of the application form. OK. So you have your house. It will need to be run. Many of the properties bought are rented out. The method of rental depends on your own requirements. Many homes are rented out on a weekly, or monthly, basis for holiday lets. This is ad-hoc and helps to pay for the annual running costs of the home. Some of our clients have made this purchase as a “business decision”. Some clients just needed the Economic Citizenship and a Kittitian passport? It makes sense to buy a property that qualifies for Economic Citizenship, then rent the place out long term. These Islands have a banking industry that attracts bankers from overseas, who wish to rent a property for a year or two. This suits the investment buyer. House-keeper: about $6 USD per hour. Electricity: about $200 USD per month. A/C puts this up. Decide on your registered Status as a foreigner. You have some options here. Obviously, it depends on your plans. Permanent Residency: Property owners can apply for permanent residency. This will allow you to remain on St Kitts & Nevis indefinitely. The cost to apply is £200 EC, followed by a single payment of $3,800 EC upon approval. Be prepared to wait though. It usually takes from 6 months to a year. Alien Visitors: If you are a foreigner, with no other local status (Permanent Residency, Citizenship Program or Economic Citizenship program) than you must pay $50 EC per month for the first 3 months and $75 EC for each subsequent month. You must also hold an out-bound airline ticket. Citizenship Program: If you are a Commonwealth Citizen and have owned a local property for 14 years, then you can apply for citizenship based on the length of your stay in the Federation of SKN. If you are a US Citizen, the period of stay required, is 15 years. The cost is £1,750 EC (for Caribbean nationals) or $3,800 EC for anyone else. Economic Citizenship program: We have a whole page about this program. There’s an initial assessment form here. It will provide you with a full guide to the costs, based on your personal circumstances and how many people you wish to include in your application. You can qualify for the Economic Citizenship Program, provided you purchase a property that is included within the program and provided that the minimum investment value of €400,000 USD is achieved. We have many new projects and resale homes that are included in this scheme.